Additional pets from the same family staying in the same suite receive 20% off. Dogs and cats from the same family are welcome to stay together. 10% discount for pets boarding for ten or more days. CHECK-OUT IS NO LATER THAN NOON, 7 DAYS A WEEK. WE OFFER A LATE CHECK-OUT OPTION AFTER NOON FOR A FEE OF $30. THIS WILL BE AUTOMATICALLY APPLIED IF YOU’RE LATE FOR CHECK-OUT. unFURgettable Pet Resort & Spa provides our overnight pet guests with the highest quality of comfort and care. Our facility is a cage-free environment. Your pet will truly be enjoying a luxury getaway and when we say we're a resort, we mean it! Every meticulous detail has been included so your pet will enjoy a safe, fun, and relaxing stay while boarding with us. 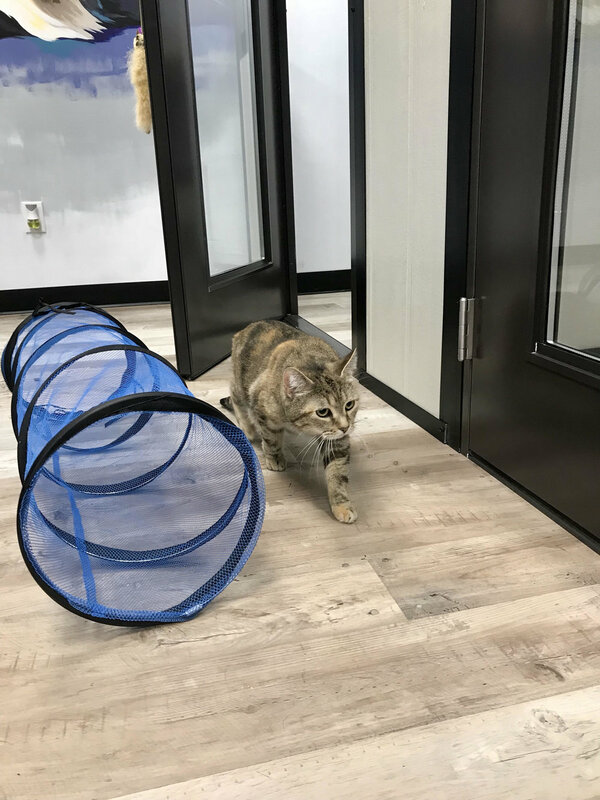 Our staff is highly trained so you can breathe easy knowing your pet is safe in their home away from home. To ensure your pet has an unrivaled experience, our facility is staffed 24 hours a day, 365 days a year. All rooms have purified air and water included. WE ARE A 24/7 FACILITY, MEANING EVEN AFTER LOBBY HOURS THERE IS ALWAYS SOMEONE HERE. REST ASSURED YOUR PET WILL NEVER BE ALONE DURING THEIR STAY.